knew he had to come home with me! and those things in the vase? >Your home is beautiful, you have some great pieces and so tastefully arranged. Another great composition/still life today, the angle is terrific. Cute bunny. >I totally love your foyer table and the setting. 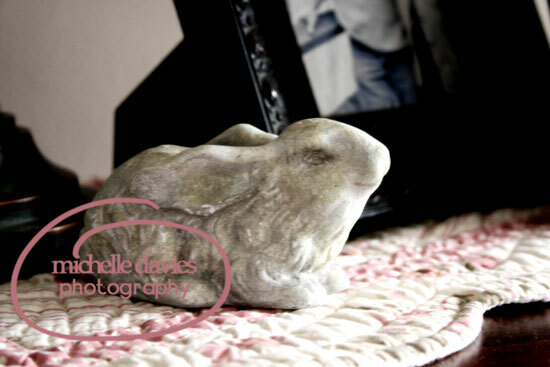 The sand dollars look beautiful adn that bunny is a great piece to add. I agree with your comment – I am learning so much, and especially the ladies I see regularly commenting and sharing I feel like I am really getting to know. It’s really wonderful! >Love your table setup. It’s looking a little Eastery… 🙂 The sand dollars are great in the vase–I think that’s a perfect display for them. Nice shots today! 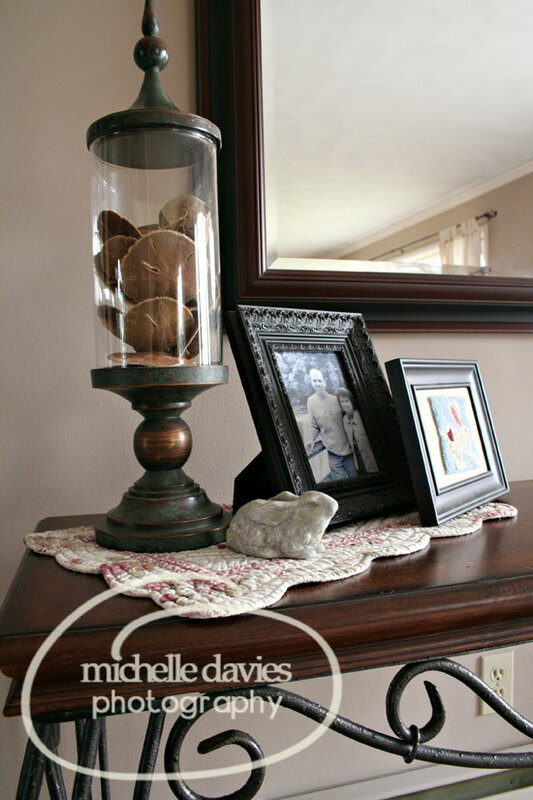 >Love your decorating style. gives you that warm and “homey” feeling. Nice job on these shots!! Love the story behind them too! >I’m baaaaaack…. And where is your song??? I liked it! I thought you were going to keep it and give us the option of playing! Just came by to tell you many thanks for taking the time to come over to my blog to try and help me. As you noticed, I had also asked in the MB just in case you didn’t see it…and I’m glad you liked my loud song. I feel very Mexican today so I went with the Desperado song…plus after a few margaritas, anything sounds good (j/k). Again thanks for searching me out and helping. So, how about those blankies….